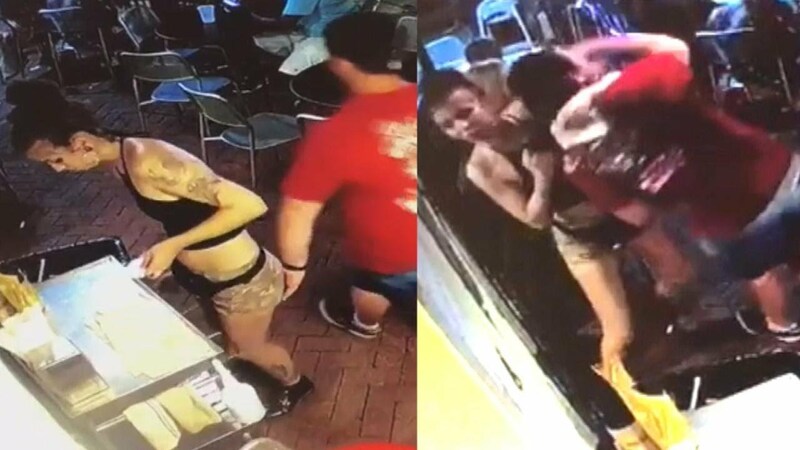 A server served up some quick justice to a customer who groped her. Ryan Cherwinski of Palm Bay, Florida is having a bad week for some bad behavior. The 31-year-old married father of two casually grabbed a server inappropriately at Vinnie Van GoGo’s pizza restaurant in Savannah, Georgia. As you'll see in the video, the server, 21-year-old college student Emelia Holden, wasted no time taking him down for the offense. She slammed him against the wall and then reprimanded him. Police were called and they arrested Cherwinski, in front of his wife and kids, after reviewing the security footage showing the incident. He spent two days in jail. Holden wants to put the incident behind her, writing on Facebook, "I appreciate all of the kind words from everyone but I’d also appreciate it if people would stop tagging me in the video. I know what happened, I was there. Also I am NOT I repeat NOT interested in doing interviews on the matter. What’s done is done, he got what he deserved and I’m just trying to live my life."